However despite claiming to have been in business for over 3 years it seems that the website is really only a couple of weeks old… So what’s the deal, is it really legit & can you actually make money with it or will InfluencerClub.co just scam you instead? What Exactly Is The Influencer Club? And if that alone didn’t already sound good enough on it’s own the Influencer Club website also promises to provide each new member with a whopping $25 sign up bonus too. But don’t rush into signing up just yet because I can tell you things aren’t quite what they seem…. And if you have already joined then make sure you keep reading as it’s vital that you protect your info. The reason I’m saying it’s not what it seems is because the Influencer Club is actually just a re-hashed version of a scam that I exposed named Kids Get Money. They’ve simply changed the name in an attempt to escape the negative reviews that exposes it (like mine) so that they can continue scamming people. How Does The Influencer Club Work? Okay so the Influencer Club is actually a pretty cunning scam – it portrays itself as being a legitimate opportunity through which you can earn money by sharing the site with others & in return for doing so it claims to pay $10 commissions that are allegedly taken from a cut of the advertising revenue that the site generates. However here’s the weird thing – there’s no advertising on the site whatsoever, so clearly that isn’t true! But on top of that claim the site also claims that inside of the members area you can also complete additional offers for extra cash & these offers also promise to provide you with ridiculously high levels of income. So what’s the deal? Why is the site offering so much money for such simple tasks & where is the money really coming from? Well the truth is there is no money – none whatsoever. I mean sure, the creators of the thing earn some money themselves when you complete the offers inside but none of that will get passed down to you. In reality the whole thing is actually what’s known as a data harvesting scam – so basically they’re tricking people into handing over their personal info (like username, email, passwords etc) but the cunning part is that they’ve created a fake referral program in order to trick you into getting other people to sign up to the scam too. 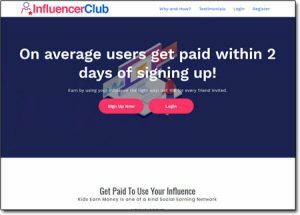 They want you to believe that you’ll be getting $10 per referral – and admittedly your balance inside the Influencer Club program will increase accordingly with each person you bring in, however you will never get paid. They want you to sucker as many people into the scam as possible before you discover that it’s actually a scam yourself & that they don’t really pay. By this point though it’s too late, you’ll have already referred around 50+ people. Then those people will be referring people too, so it works like a viral effect – and all the while they’re just stealing their data. But What Are They Doing With All The Data? Well the InfluencerClub.co scam, just like all of the other similar data harvesting scams that have came before it is doing 2 things with the data. The first thing it’s doing is hoping that you’ve used the same data you entered there elsewhere… And the reason they’re hoping that is because they’ll be looking for all accounts associated with the same username/email address & trying to access them using the password you signed up with. It’s a fact that most people use the same username/password for almost all of the sites they use online & so the people behind the Influencer Club website will be trying to gain access to things like your PayPal account, Facebook account etc. So it’s worth pointing out here that if you’ve signed up to the Influencer Club website & you use the same username/password combination elsewhere then you should definitely go change it right away. But also alongside trying to access accounts associated to your details the guys behind the program will also be selling your data onto other companies too so that they can market other scams to you. For example almost all of the people who signed up to the KidsGetMoney scam have been reportedly getting bombarded with emails trying to get them to sign up to something called Auto Chat Profits & that’s because the owner of KidsGetMoney sold all the emails to the owner (or an affiliate) of Auto Chat Profits. 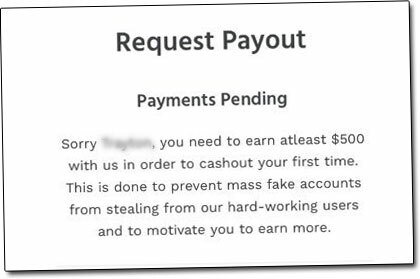 Honestly there are actually some legitimate Get-Paid-To sites out there that will indeed pay you in return for completing offers & referring others but what you need to know is that none of the legitimate sites will ever pay you much money. You may be able to earn a dollar or two per day through them but that’ll be about it, at most – and I know that seems like a really low amount but honestly these tasks are just so simple which means there’s so many people willing to complete them. I mean sure the internet certainly provides a lot of great ways to make money but it’s not magical & there are no ways that will provide you with the ability to earn lots of money for little work… Anything that promises it (just like the Influencer Club) is likely a get-rich-quick scam or some other sort of scam, like in this instance a data harvesting scam. If you really want to make good money online, I mean hundreds or thousands of dollars then you can’t expect it to happen fast. It’s certainly possible through sites like Wealthy Affiliate but you must appreciate it’s going to take time & work. 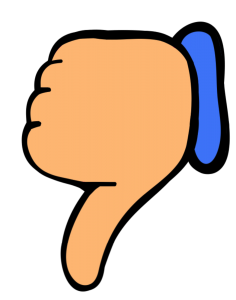 My Verdict – Is InfluencerClub.co a Scam? If you’ve already signed up to the InfluencerClub.co website then I would strongly advise you change your username/passwords if you happen to use the same ones elsewhere – and if you haven’t already signed up then simply put, don’t! Also if you tried promoting the Influencer Club program already to try & earn some of those $10 referral commissions then I would advise you to go back & delete your posts where you shared the link so that none of your friends or family accidentally sign up to it. Like I mentioned previously in this review if you really want to make good money online then you need to steer clear of programs like the Influencer Club that promise easy riches & instead just go for something legitimate like Wealthy Affiliate where you’ll learn how to make money properly. Auto Profit Replicator Review – Auto Bankrupt More Like!